Why are many city parts so ugly? Why was the EU inspired by communists? The history of European post-war urbanism with its fascination with Le Corbusier shows how often the designers of our living space were alienated. The same happened to the EU politicians: they adopted the ideas of the communists, literally and uncritically. Both – the architects and the designers of our European societies – wanted a new brave beautiful world, but they destroyed the old beautiful world and they are still doing it. The father of prefabricated buildings and housing estates, the Swiss architect Le Corbusier, did not really mean it in a bad way: his buildings should be square, practical and good. You don’t see this romanticism in today’s suburbs of Paris (the No-Go-Zones) or in most of the settlements of Central and Eastern European cities. The socialist urban planners were fascinated by Le Corbusier and designed entire cities according to his ideas. Around the beautiful old towns in Poland, the Czech Republic, Bulgaria and Romania, monotonous, ugly settlements for the working class emerged, focal points for social problems. 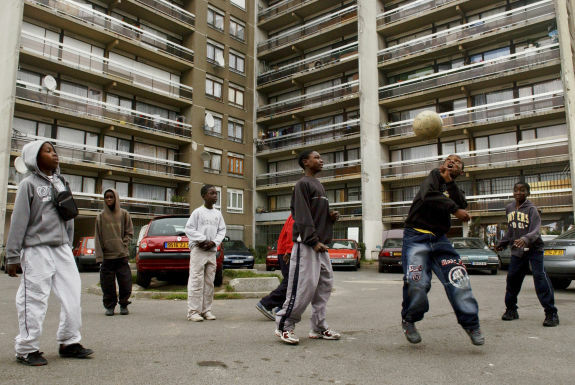 The inhabitants of the Parisian and other suburbs of Western Europe, the prefabricated housing estates, which were originally also inhabited by workers, are slowly being displaced by migrants, the unemployed and the socially unfit. They feel good there: in such an architectural structure they can distinguish themselves from the rest of society in their ghetto. There they can pay homage to their lifestyle, which is of no value to society. Just as the architectural image of many European cities was not created according to well-considered concepts, so was the framework for the European Community’s post-war programme not new and creative. The architect of European integration was the embittered Italian communist Altiero Spinelli (pictured, not Robert Schumann, which can be heard in EU propaganda). In his Ventotene Manifesto, written in 1941, we read that European integration should take place through the abolition of individual nations. It should therefore not be understood as the process of long cooperation and compromise between nations: “The question which must first be resolved, and if it is not then any other progress made up to that point is mere appearance, is that of the abolition of the division of Europe into national, sovereign states”.1) The Brezhnev doctrine that emerged in the reaction to the Prague Spring was: “The sovereignty of the individual states finds its limit which are the interests of the socialist community”. Just as Brezhnev put Spinelli’s ideas into practice, so do “modern” left-wing politicians like Martin Schulz, who are well respected today. At last year’s SPD party conference he announced that the European Union should transform itself into the United States of Europe by 2025 with a common constitutional treaty. The EU members who would not agree to this federal constitution would then automatically have to leave the EU.2) And the delegates clapped like comrades of Brezhnev (probably not with fear?). Radical ideas, weren’t they? Le Corbusier’s ideas were also radical, too radical for his contemporaries. In the French capital, for which he designed from 1912 to 1960, he wanted to demolish entire old districts. Fortunately, his plans were not realized, though he had a lasting influence on the architecture of the post-war period. In his design of the Modern City (Ville Contemporaine), the centre of the city is not a cathedral or a town hall, but shining skyscrapers for business people – the centres of modern metropolises should now breathe money and no longer be the heart of spiritual and secular life, which was taken for granted from antiquity to the 19th century. The Athens Charter, which established Le Corbusier’s ideas as decisive for European urban planners, became the dominant trend in the design of European cities after the Second World War. Especially the separation of the functions in the cities – districts for work, entertainment and recreation were separated by wide avenues and deserted highways – brought about the dehumanization of city life, especially in the sleeping quarters. As a result, more and more people fled from the centres of European metropolises to the vast suburbs because of the deteriorating quality of life (social conditions, air pollution, etc. ), where they could still live relatively well in an environment whose single-family house structure was reminiscent of the good old small towns. 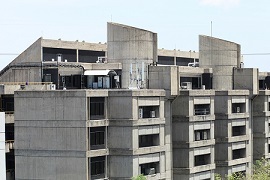 The centres now became safe during the day, less and less people dared to go there in the evening, and new quarters full of blocks and riff-raff were built in Le Corbusier’s neighbourhoods. In any system in which two powers govern in parallel, chaos arises. The EU is governed simultaneously by the still partially sovereign governments and the EU Commission. 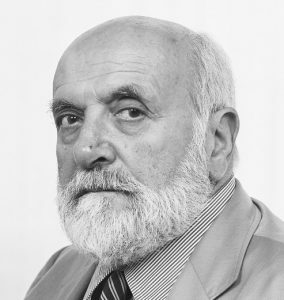 After the first elections to the European Parliament in 1979, the particular legal systems of the sovereign European countries were destroyed by imposing EU directives and laws and shifting power to Brussels. The process began precisely because, in these elections, it was not the members of parliament from the individual countries who were elected, but candidates who were only to sit in the EU Parliament. They were now allowed to pass laws that were inconsistent with the law in their home countries. more popular. 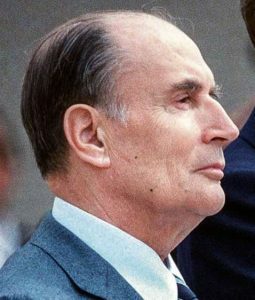 When in 1984 the supporters of the Ventotene Manifesto failed in referendums on the common EU constitution in the individual countries, François Mitterrand (pictured) continued to work on it, thereby betraying de Gaulles’ ideas. As a result of his efforts, the Maastricht Treaty was signed, which formulated a goal: the abolition of sovereign states and the emergence of a common European state. 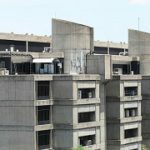 The climax of Corbusier’s modernism was the so-called Brutalism: the fascination with raw concrete led to the emergence of ugly blocks of flats all over Europe. 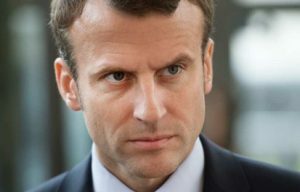 the political blocs of Macron and Schulz&Co, who implement Spinelli’s plan. In architecture, New Urbanism has developed since the 1970s in reaction to Le Corbusier’s insanity. His father was the Luxembourg architect Leon Krier, who was striving for a classical construction of a modern city. We hope that just as in architecture so also in politics a movement will develop in all of Europe that will put an end to left-wing madness. 1. ↑ The Manifesto of Ventotene, CVCE. 2. ↑ Schulz will Vereinigte Staaten von Europa bis 2025, Zeit Online, 2017-12-07.